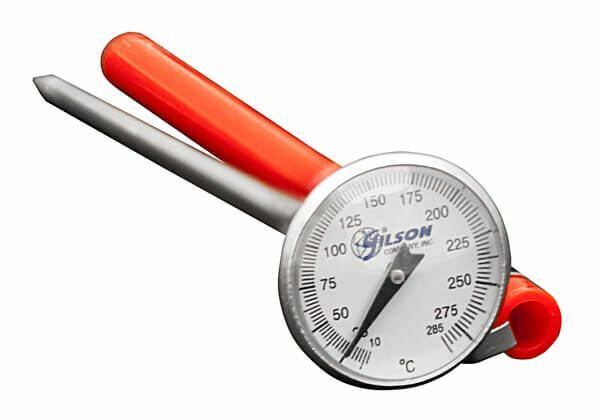 Pocket Dial Thermometer, 10°— 285°C - Gilson Co. The MA-105 Pocket Dial Thermometer is 5in (127mm) with type 304 stainless steel dial case and stem. Temperature range is 10°—285°C. Dial face is 1in with 0.15in diameter stem. Accurate to 1% of range with 5° division. Thermometer has a calibration adjustment and comes with plastic carrying case with clip.